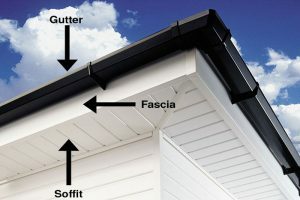 Billericay Fascia, Soffit and Guttering, Installation and Repairs in Billericay Essex  Billericay Fascias and Guttering. If you need Fascia Installation or Fascia Repairs in Billericay Essex, Rooftiler.co.uk are here to help. Here at Rooftiler.co.uk we have serviced Billericay and the local area for many years providing our customers with many quality installations. We offer a professional and reliable UPVC fascia, soffit and guttering replacement service and can supply a variety of materials including many different colours and styles. We also offer a ten year guarantee with all of our roofline work and you get all of this at our usual competitive prices! If your fascias are old and shabby we can easily update them with brand new, Upvc plastic fascias soffit and gutters. Upvc has become a new standard in this country thanks to the stylish appearance and hassle-free maintainability in comparison to the long used wooden option. There are several different styles and colours to complement your home and it is recommended that you conform the colour to your windows where possible for the most satisfying finish. 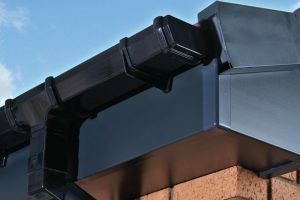 Our regular white fascias and soffit with black half round guttering costs from as little as little as £399.99 per side. Capping your fascia in Billericay. 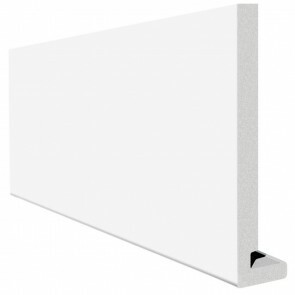 We recommend that existing fascias are taken off generally speaking but if your old fascias are free from rot it is possible to cap the existing fascia with a 10mm capping board especially manufactured for the job. 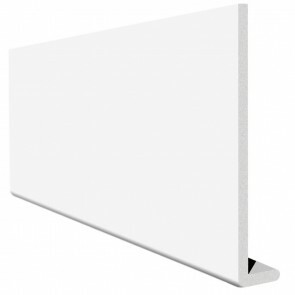 This will reduce the cost of materials and waste disposal and can be a perfectly appropriate solution providing the same finish and durability as fascia replacement at a reduced price when installed competently. We also provide a service to replace the guttering only if needed. Feedback from Billericay, Here is a selection of the feedback that we have recieved from jobs that we have completed in Billericay. Mr and Mrs Crayling, Billericay, Essex. Very good price, nice and tidy job. Mr and Mrs Appleton, Billericay, Essex. Many thanks, we are very pleased with the work. Mr and Mrs Copping, Billericay, Essex. Many thanks for the excellent work carried out, we shall certainly recommend your company to others. The young man who worked at my house was very polite and did a good job. Mr and Mrs Dunn, Billericay, Essex. Very prompt in arranging visit and providing quote. All the team were very professional, pleasant, tidy and hard-working. Very pleased with end result. Mr and Mrs Neal, Billericay, Essex. I am very happy with this company. They made a very good first impression, they were easy to talk to and know there trade. They were very good with my parents who are elderly. Mr and Mrs Creamer, Billericay, Essex. Very courteous, friendly and efficient service. Mr and Mrs Abbas, Billericay, Essex. Thank you very much for a good job well done. Mr and Mrs Wiltshire, Billericay, Essex.